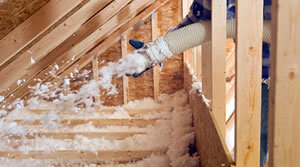 A well-insulated attic reduces heat loss, makes your home more comfortable, and lowers your energy bills. Acting like a blanket, insulation helps to keep heat in during cooler seasons and block it from entering during warmer weather. Insufficient or ineffective insulation may cause wasted energy that can impact both your wallet and the environment. Insulate Alaska recommends the use of blown cellulose insulation. While similar in price to other insulators, cellulose is a superior air barrier over other insulation products, achieves higher per-inch r-values than fiberglass, and is made of recycled materials. Insulate Alaskaâ€™s cellulose product is fire retardant, resistant to moisture damage, and an effective sound-proofing material.Â With todayâ€™s Alaska Rewards offer for only $50 get up to 200 square feet of attic insulation from Insulate Alaska, a $240 value! If more than 200 square feet is required Insulate Alaska will be happy to write you a quote, just give them a call. Limit 1 per person, may buy 1 additional as a gift. Limit 1 per household. New clients only. Valid only for Anchorage, Eagle River and Chugiak. No partial jobs.